On Sunday, after nearly 80 minutes of the FA Cup semi-final, I wondered what I would say if anyone asked me afterwards why Wolves had won and Watford had lost. My answer, I decided, would be that Wolves had scored two goals and Watford had not scored any. Then Watford did score. So I updated my answer. It would be that Wolves had scored twice while Watford had scored only once. Then in added time Watford got a penalty and equalised. After extra-time they had won 3-2. If only everything in life was as easy to predict as the most popular reaction to this enthralling drama. Watford won, other people said, because they did not give up. They showed character, a never-say-die spirit. I had thought Watford were unlucky to be 2-0 down after 78 minutes then lucky to score three times without conceding in the next 42 minutes. Over 120 minutes, I had thought, Watford were slightly the better team. Watford could have tried as hard as they did in the last 12 minutes of normal time and not taken the tie to extra-time. So their refusal to give up can be at best only part of the explanation for their victory. 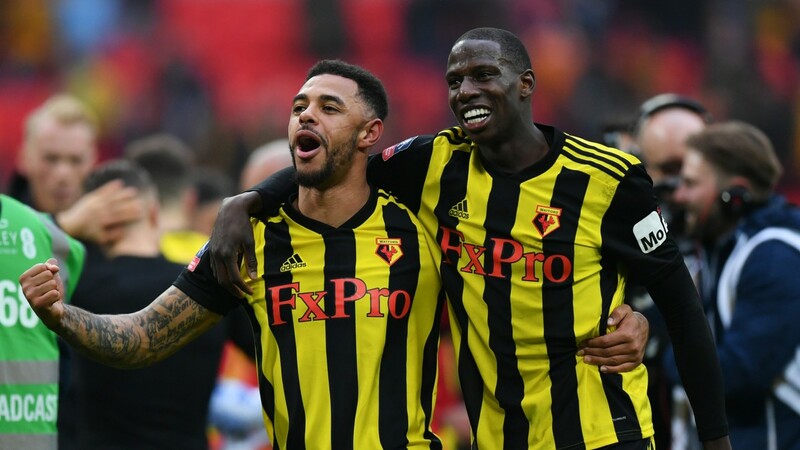 Watford might have even more grit than other teams, and it might enable them to come from behind more often than other teams. It could be part of the reason they are in the FA Cup final – but clearly it is far from the whole reason. Perhaps the rest should be summarised like this: Watford are a good team who are capable of beating Wolves, another good team, sometimes, and it just so happened that one of those times turned out to be last Sunday. Writers are taught that a story should tell readers six things: who did what, where, when, how and why. Who, what, where and when – those are the facts, which a writer can get wrong even with the best of intentions, but often he or she will get them right. How and why – those are explanations for the facts, which even with the same impeccable intentions a writer will get wrong a lot more often. Go to a bookstore and browse the titles on the non-fiction shelves. You will see many subtitles that start “how this…” or “why that…” Some combine both: “how this happened and why that matters,” for example. It is only human to want to know. It is only human to think we do know when we should not be sure. On Monday I read an article headlined: “How Heckingbottom has revitalised Hibs with wily defence and shrewd attack”. It argued that new manager Paul Heckingbottom was responsible for Hibernian having won six and drawn two of their last eight games in the Ladbrokes Premiership. I do not doubt that Heckingbottom is a good coach, but the relationship between cause and effect in football results can be even more tangled than it is for many other things. Heckingbottom could coach Hibernian as well for their next eight games and they could draw two and lose six. More likely, they will not do that badly but neither will they do as well as they did in those previous eight games. Not all of Hibernian’s next eight games, I should add, will be played this season. I am always sceptical when I hear that a team know how to win. Especially as I am never told exactly what it is they do that enables them to win. The implication is that they have won some games in which they were not the best team. I call that luck, which every team gets now and again. My scepticism about Hibernian increased when I read that if they had gathered points at the same rate over the whole season they would now be top of the table with five points more than Celtic. It is almost inconceivable that after 33 games in any season Hibernian will have more points than Celtic. Celtic can afford to pay players ten times as much as Hibernian. Offering higher wages does not guarantee that a club will get better players, but usually they do. The gap in spending power between Celtic and Hibernian is almost certainly too large for Hibernian to be able to beat Celtic’s results over a large number of games, no matter who is their manager. Former England cricketer Ed Smith wrote a book called What Sport Tells Us About Life. In a chapter on sport and history he warned of the danger of assuming that X caused Y just because X preceded Y.
Smith urged us to consider alternatives, as some historians do. Could somebody have done this and the outcome have been different? If so, one of two conclusions should follow. Either what they did had no impact on the outcome or it did have an impact but only because it was combined with other things that we have not yet identified. This is a way of getting at what might really matter. Watford manager Javi Gracia says his players keep trying till the end in every game. If Watford reached the FA Cup final simply because they do not give up they would be unbeaten in all competitions all season. And they are not.